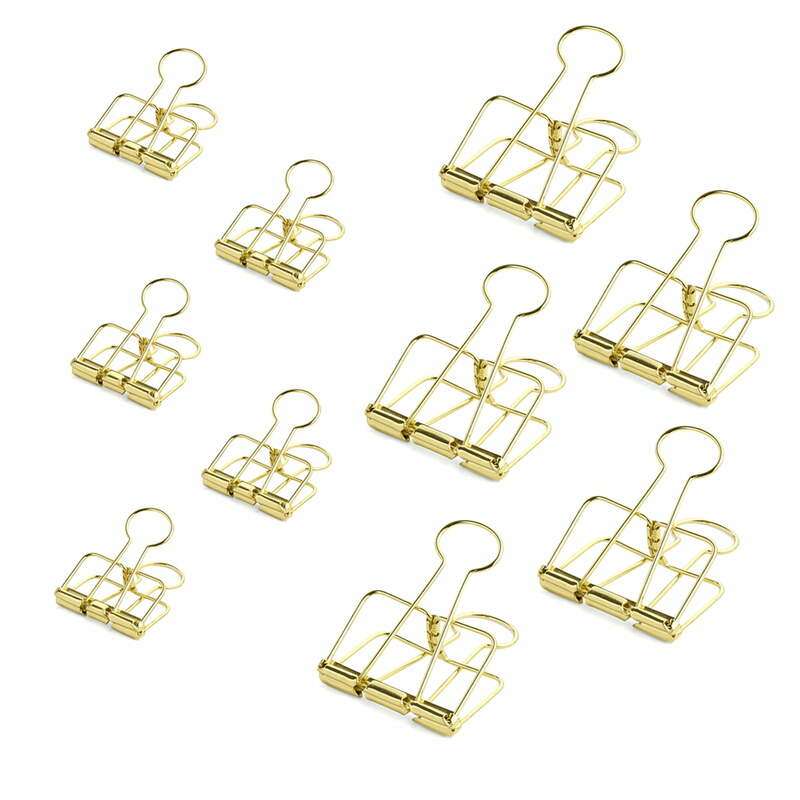 The Outline paper clips by Hay come in a practical set consisting of 10 pieces. It includes 5 small clips and 5 large clips. The small office accessories are made of steel and inspire with a shiny gold finish and a delicate design. Whether in the office or at home, the paper clips – also called foldback clips – keeps all the important documents together. Without stapling or gluing, these handy helpers leave no marks and can be reused again and again. Thanks to their exceptional design, the clips are wonderfully decorative. Not only can bags be sealed with the clips, but posters and photos can also be hung up on a nail or a piece of string thanks the foldback clips. The Hay clips offer plenty of space for different design ideas, and provide a solution to the chaos among papers. 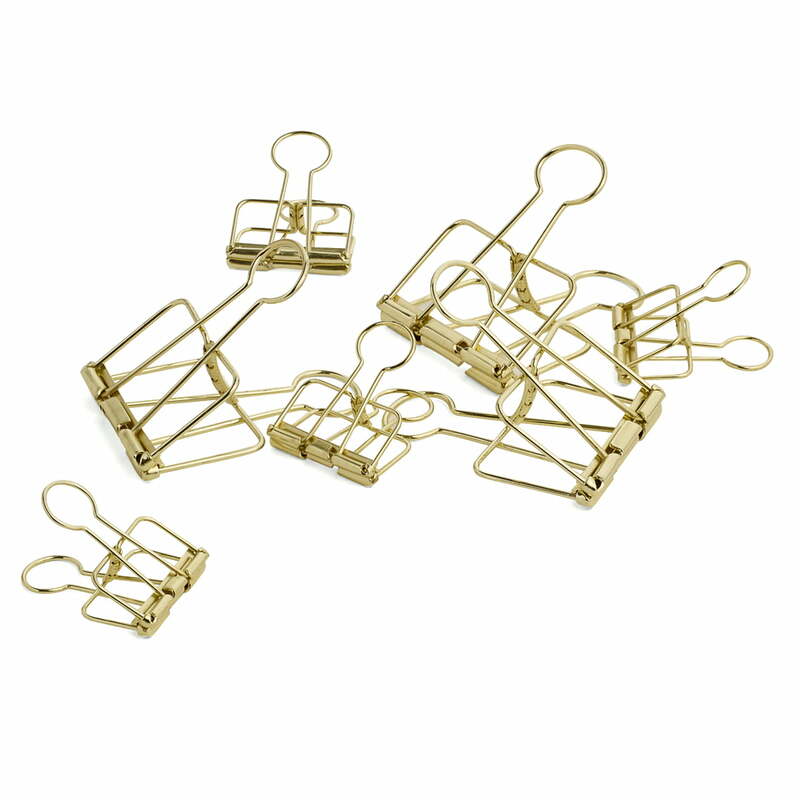 Group illustration of the Outline paper clips by Hay in gold. The Outline paper clips by Hay come in a practical set of 10 pieces and include 5 medium-sized clips and 5 large clips. The Outline paper clips by Hay: The small office accessories are made of steel. They inspire with a shiny gold finish and a delicate design that fits into any interior.